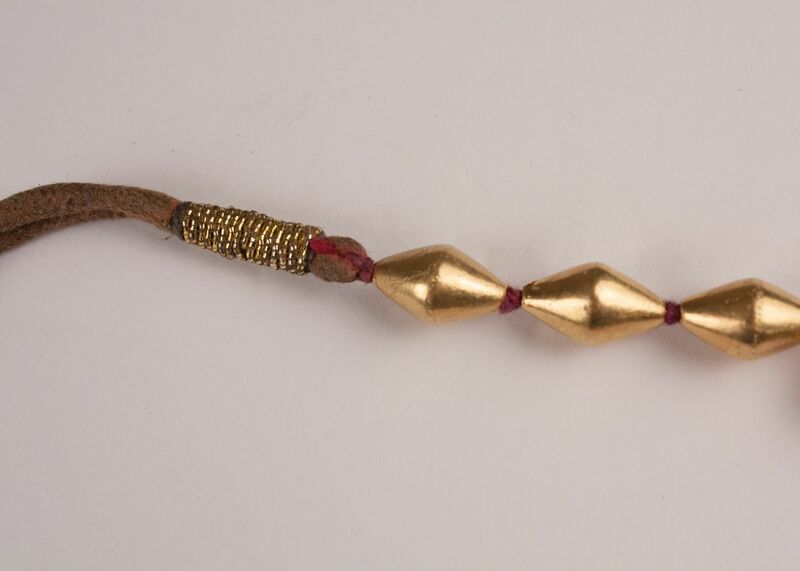 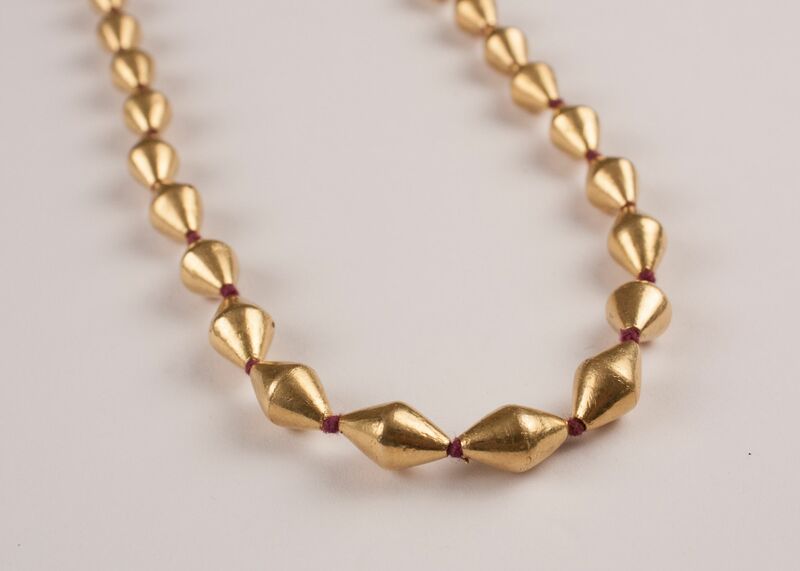 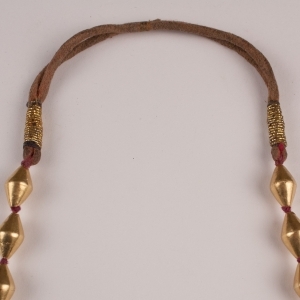 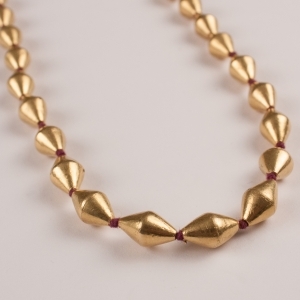 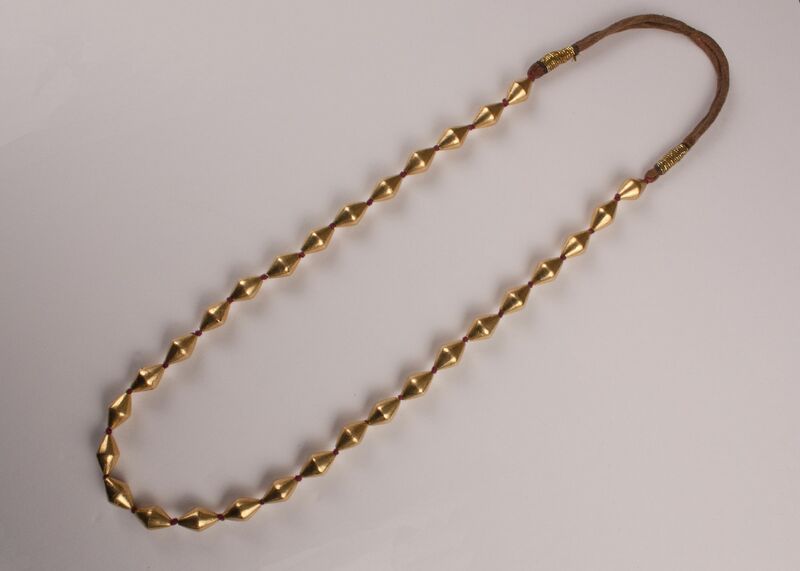 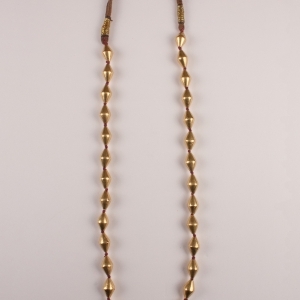 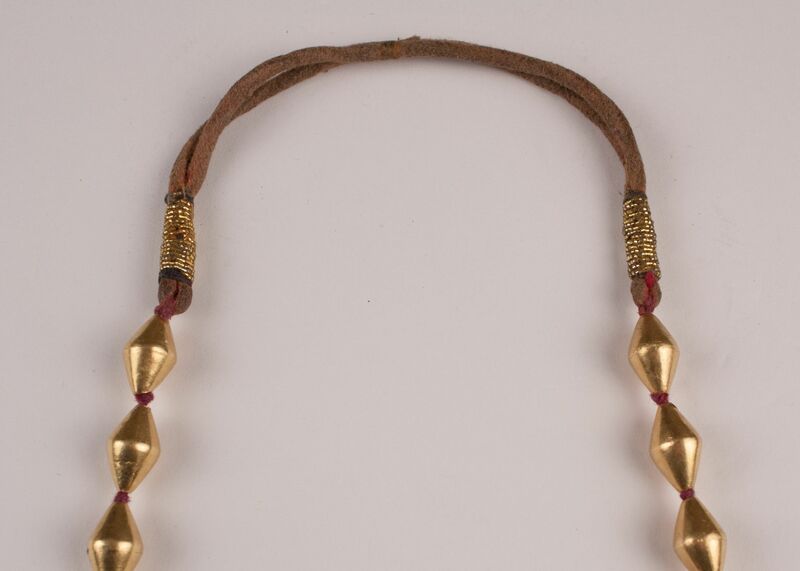 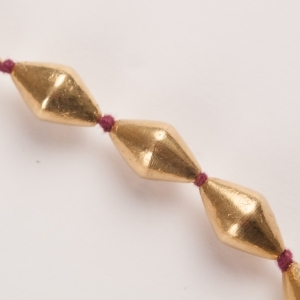 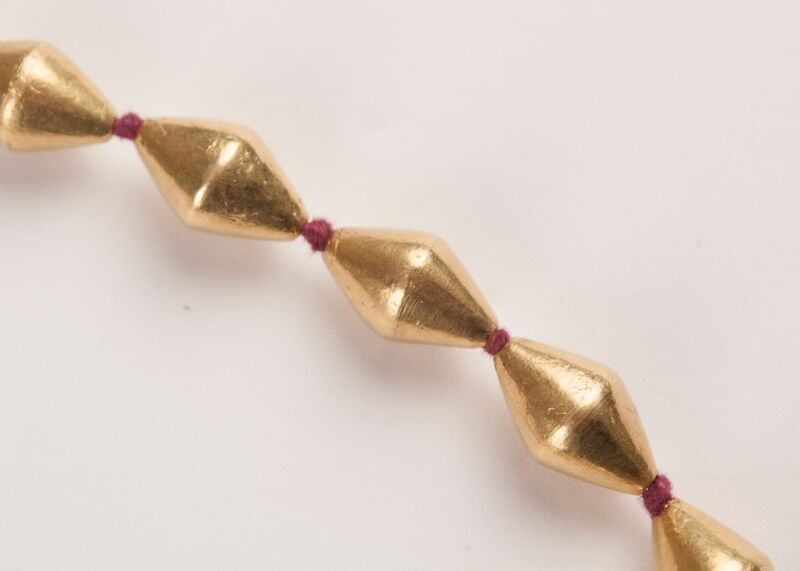 This supple, sensual, traditional strand necklace from India features 30 18-karat gold over wax core beads strung on knotted red-brown cotton thread and finished with a tribal neck cord wrapped in gold thread. 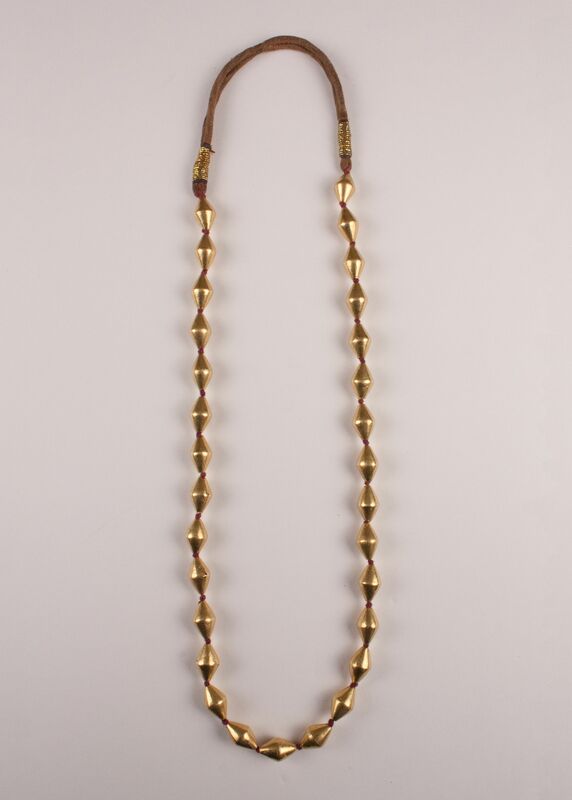 Circa 1990. The necklace measures 27 inches in length. 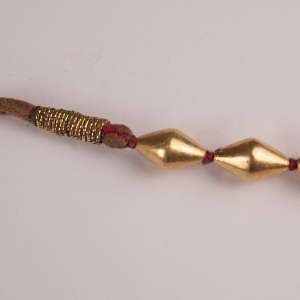 Each bead measures .625 inches long.